Sunday, June 3rd, 2018 at 1:30 P.M.
Join us for the last meeting of the 2017-2018 PHSNE season. 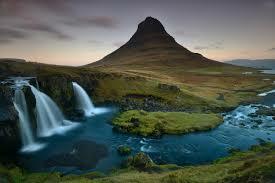 The feature presentation will be a 2003 video about Iceland, part of the Luminous Landscape Video Journal. It is 56 minutes long, produced at the beginning of the end of the “film” era. PHSNE member Adrian Levesque will introduce and narrate the film. The cameras used to make the video were a Pentax 6×7 and a Pentax X-Pan, but the video shows awesome photos, deliberately taken with care when film was still king (with some conversation about digital). Enjoy the film, the camaraderie of fellow photo history enthusiasts, and the refreshments. PHSNE does not meet during the summer months. The next meeting will take place in September, and the next issue of snap shots will be the September issue to be mailed in mid-August.